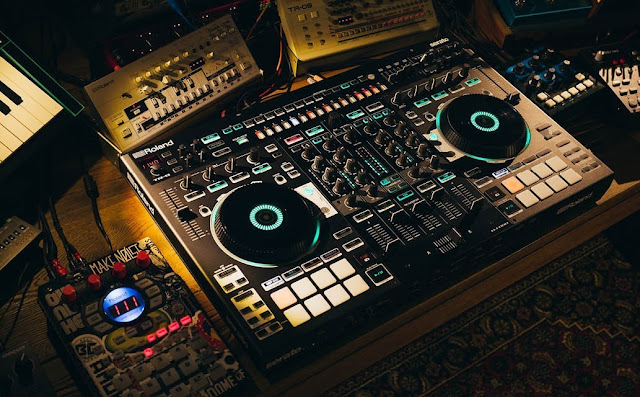 As part of this year’s ADE Sound Lab, Roland will be setting up shop at the Festival Hangout, presenting their latest range of innovative instruments. Attendees of ADE Sound Lab will be able to try some of the music institute’s latest gear, including the DJ-202 and DJ-505 DJ Controllers as well as the all new SH-01a, TR-08, D-05 and SE-02 boutique synthesisers. In addition to this, Roland will be running interactive workshops with an array of international talent, to discuss how Roland gear has been used in their work. On Thursday Nacho Marco will discuss integrating studio hardware into a DJ set and on Friday A Guy Called Gerald breaks down his live improvisation techniques and wrapping things up and on Saturday Egyptian Lover will be running an 808 Masterclass. With the acquisition of V-MODA headphones, a close partnership with leading DJ software innovator Serato and a range of exciting new instruments, Roland has a lot to show DJs and producers coming to ADE 2017. Thursday October 19, 12.00 PM – 12.45 PM, ADE Festival Hangout at De Brakke Grond. Friday October 20, 13.00 PM – 13.45 PM, ADE Festival Hangout at De Brakke Grond. Saturday October 21, 13.00 PM – 13.45 PM, ADE Festival Hangout at De Brakke Grond.